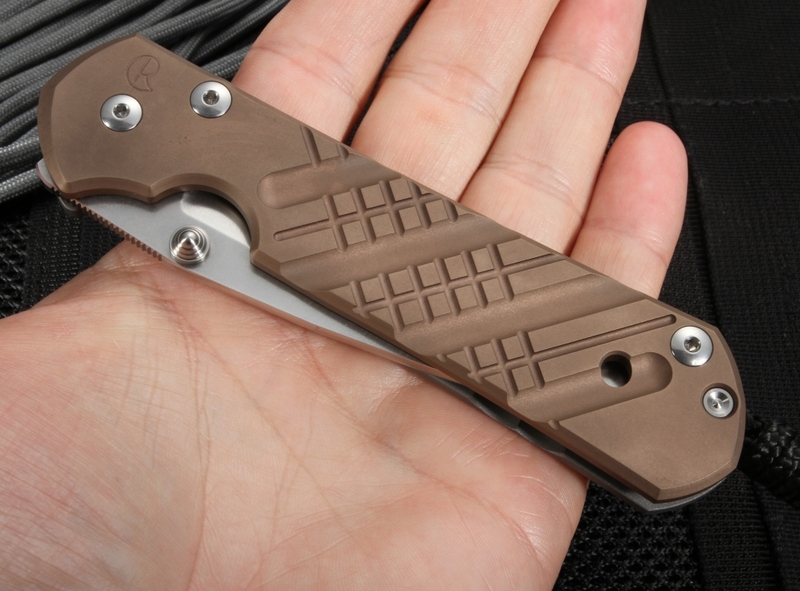 A computer generated graphic cross hatch machine pattern with PVD coating on this large sebenza 21 knife manufactured by Chris Reeve Knives. This large sebenza 21 is a standard everyday carry folding knife that has been given added flair thanks to the intricate cross hatch pattern and PVD coating. 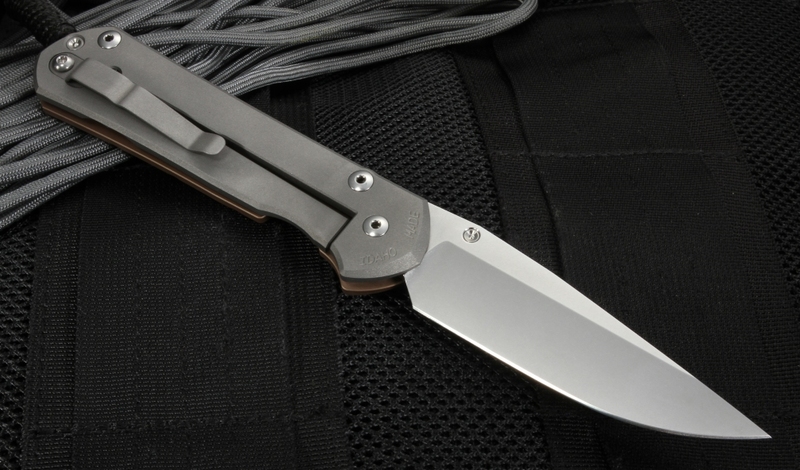 Stainless S35-VN steel blade with razor sharp hollow grinds define the 3.625 inch blade on this large sebenza offering. Additionally, the popular drop point blade shape is used on this knife. The frame is blasted titanium on the lock side and machined Cross Hatch computer generated graphic (CGG) with a PVD coating on the face side. 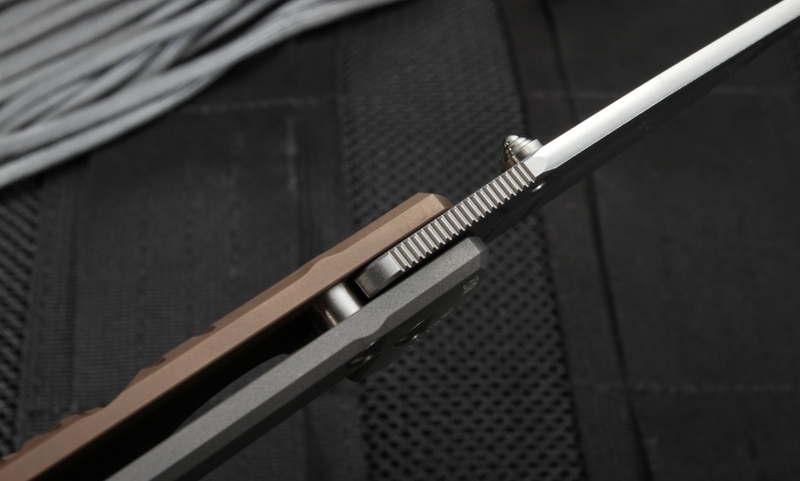 Blasted titanium has also been used on the pocket clip that has been mounted for tip up carry. A made in America product, the handle on this knife is marked with Idaho Made and this knife comes with a brown leather pocket pouch. Despite being a larger knife, it weighs only 4.5 ounces. 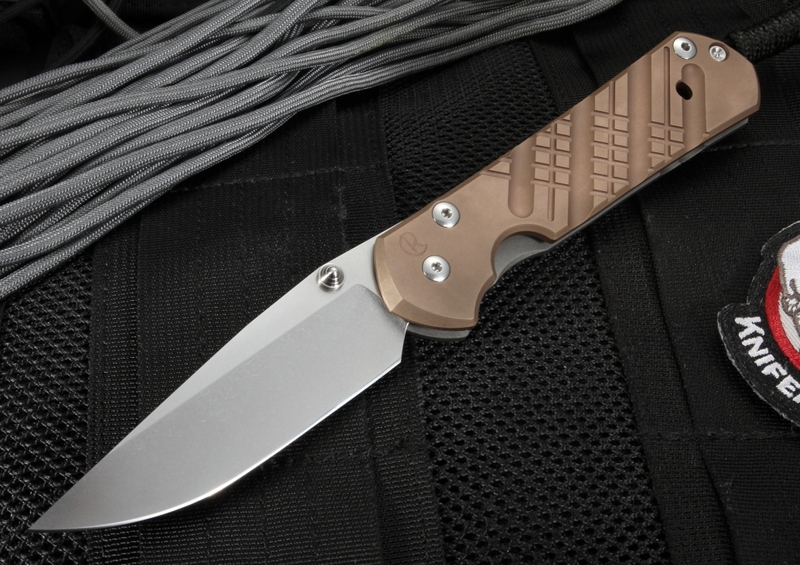 Great online shopping experience...my first Chris Reeve tactical folding knife and I am highly impressed by the knife quality and easy functionality. Knifeart provided quick professional online ordering and followup customer service as well as quick controlled delivery....I'll be a return customer for certain.